As a leading supplier and contractor of scaffolding and access solutions, we have the engineering skills, qualified and experienced personnel, and material resources to tackle even the most complex access challenge. We can design and supply scaffolding to any type and scale, as well as swing stages and mechanical access, and provide rope access as an alternative to fixed scaffold. Large scale management packages for major projects in the oil and gas, resource or industrial sectors, include supply, storage, stock management, transport and maintenance of scaffold material at remote offshore and onshore locations. 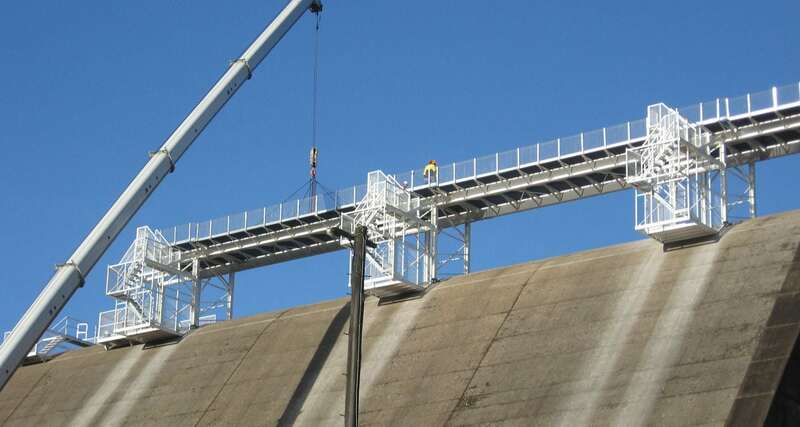 SRG Global has a team of experienced and trained rope access technicians who are available to provide a range of services on difficult to access structures or locations where scaffolding and other access solutions are too costly or not practical. Aligned to internationally recognised standards through membership of IRATA, SRG Global employs comprehensive safety and quality management systems for the use of rope access techniques across drilling, geotechnical, industrial and construction projects. SRG Global provide an on-site workforce of experienced scaffolders and riggers, wherever your project may be. SRG Global can provide modular scaffolding system (Kwikstage), A-frames, Ring Lock system, stair access and accessories. Altrex rolling towers, folding units, spandeck. A-frame system, ladder access and accessories. Altrex swing stages, flexible configurations and accessories. Material hoists, combi lifts, winches, 100kg to 3 tonne.